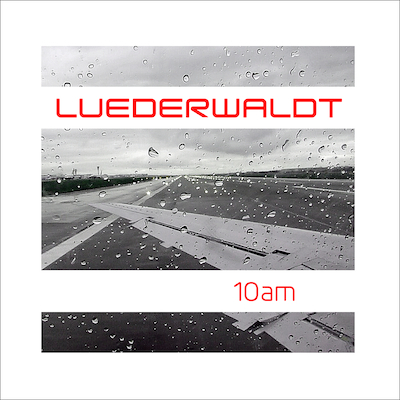 A tour pianist Torsten Luederwaldt of Fair Warning which is a band which is proud of greatest popularity in Japan released solo album “10am” that is 8th his work. This album was recorded in his house studio. He took charge of composition and musical instrument perfomance of all the 13 tunes. And this album is the sound image filled to glassiness, and the masterpiece with his lyrical piano performance was full of melody of a rich expression which invites the listener to the dreamy world. He was born in 1963 in Hannover, Germany. And he started activity as a pro musician at the age of 19. After it, he perfomed in 1800 gigs or more as a sessionist of various bands. On the other hand, he is working as a composer, an arranger, a producer, and a studio musician. 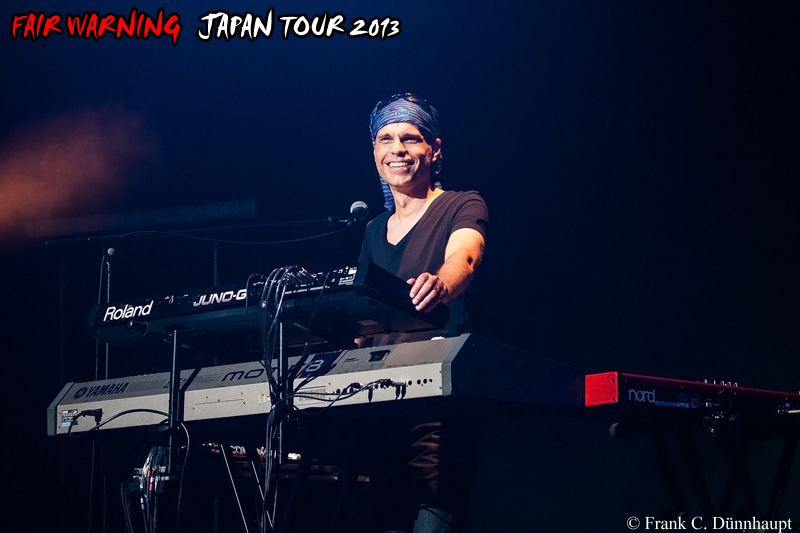 In 1992, he joined in the German hard rock band Fair Warning as a tour pianist. 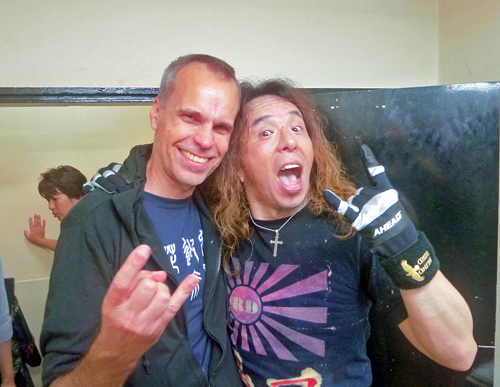 In 2001, He formed new band called DREAMTIDE with Helge Engelke. And as his original activity, he released the album of total of seven works from the first solo album “GOOD NEWS” of 1994 to “Hybrid”of 2011. And in January, 2014, he released new album “10am” to which it looked forwoard. He having the skillful technique cultivated by vast quantity of session works and outstanding musical sensitivity is an existence indispensable to the music scene of Germany and Europe. — First of all, please let me know your birth date and birth place. —Did you like playing a piano from the time of childhood? And what kind of music made you crazy first? I started playing piano when I was 9 – my Grandmother bought a big old piano and my parents sent me to a piano teacher who tried to teach me classical music. For what reason ever I didn’t want to learn all the classical stuff at that time and started to play Blues & Boogie piano. From that moment on I loved playing piano more than anything else. 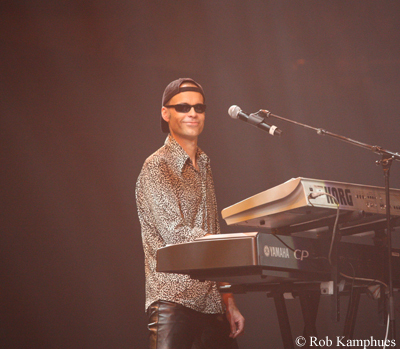 —What keyboard players do you like? —Please let us know the cause which became a session man. Well – in fact I never planned any of the steps in my so called career – I just wanted to be a musician and everything else happened somehow coincidentally. I’ve always spent most of my time working on my own music whether I released it or not – but around that many opportunities came up – both on stage and in studios. I think there were more jobs for a “playing” keyboardist back in those days because computer technology wasn’t so highly developed as it is now where everybody has tons of plug ins in his computer and a sequenzer to trigger them. —Please let us know the impressive session especially in many session works which you performed until now.And which song is your best performance shown in? —How did you make friends with Helge Engelke? He is long alliance-like association with you. If there is comment about him, please let us know. —I think that the essence of classical music is contained in your solo album. Please let us know the composer of favorite classical music. 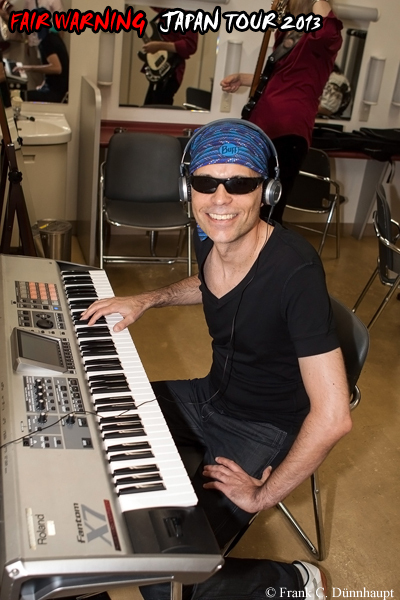 I’ve noticed that people say that some of my solo piano tunes have a classical music flavor. I have to say that most of those pure piano tunes are improvised and I wouldn’t be able to reproduce them. I always improvised a lot during very long practice sessions in the past. Nowadays I’m thankful that I had this piano teacher in the beginning because I learned about piano technique which became very helpful but I’m not a classical pianist and I can’t read a music score well which is quite embarrassing …(laughs) But in these days I really like to listen to classical music. Some of the Mozart piano concerts are my favorites, I like Grieg and Debussy and of course there is no way around Bach. —Although this is my impression, it seems that two factions exist in rock music of Germany. One side is hard rock bands, such as Lucifer’s friend, Scorpions and Fair Warning. And another side is experimental musical groups, e.g., Amon Duul II 、CAN, Ashra Tempel and Kraftwerk. Did you influenced musical from those experimental musical groups? At the time when the experimental groups came across I was very young so I was listening to different stuff. I remember only Kraftwerk as they they had huge hits like “Autobahn” which I knew from radio. Some years later I listened to Holger Czukay who was member of CAN – he did some kind of “freaky” stuff with a great sense of humor. Later I rediscovered Kraftwerk when they released an album called “tour de france” in 2003. I like that a lot. Actually I didn’t listen to German rock bands in my younger days though I’m from Hannover the hometown of the Scorpions (laughs). My heroes were Queen, Jouney, TOTO, Van Halen etc. —You’re playing it in the British band famous for “In the summer time”, the album of Mungo Jelly. Please let us know the process that you played with their album. Ray Dorset aka Mungo Jerry has been living in Germany for many years not too far from my hometown Hannover – a friend of mine introduced me to him around the year 2000 and so we played some gigs together which was big fun because I liked the original sound of the band and knew most of the songs. Later we recorded an album in a small studio in Hannover – it was like in the old days – no click track, no computer, mostly one take – 13 songs in 3 days. I thought I would overdub the solos later but no chance (laughs) . On two or three songs I even played banjo which I haven’t done since my teenager days…so funny. Lately he moved back to England but we still play live together occasionally when we can coordinate the dates. I still love to record complete albums – as I still like to listen to complete albums myself. Maybe nobody cares in these download and streaming days but I still like the concept to put tracks in a special order, trying to find appropriate song titles which isn’t that easy in case of instrumental music. 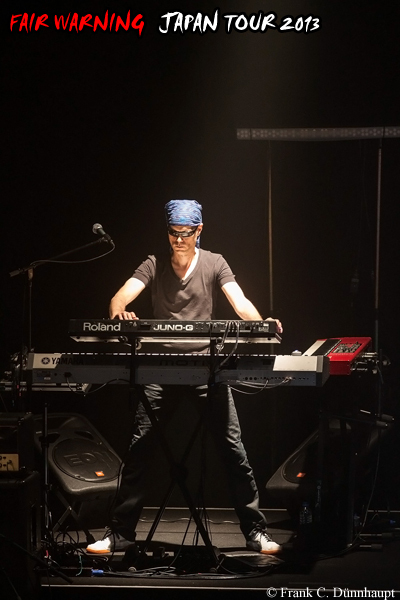 The rest just happens quite naturally – I’m doing this work because I love to be creative – of course it is even more satisfying when other people like the result too ;-) I don’t record typical rock keyboard albums to show how fast I can play – it’s all about melody and atmosphere. —Which do you like better, tour or studio work? I definitely spend more time in studio especially in my own home studio but if interesting live gigs are waiting I am really glad to have the opportunity to travel, to get direct feedback from an audience and to meet music fans. I try to keep in in a good balance – then it’s perfect for me. —You are considered to be a Japanophile. What do you like about Japan? And If you have a comment to the Japanese fan, please let us know. It felt just great from the beginning – and even developed from there…. Of course it is a perfect way to explore a country when you have the chance to accompany a band on a successful tour. 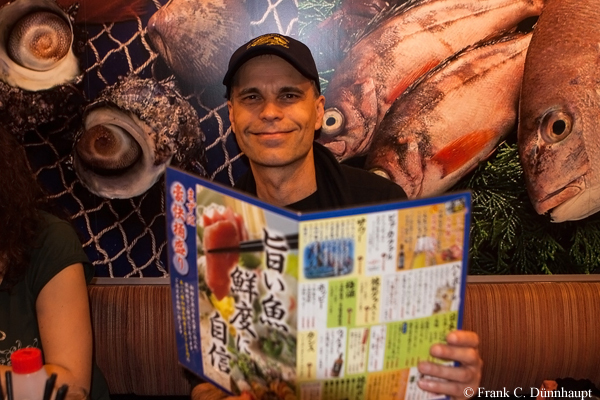 I didn’t know what to expect when Fair Warning booked my flight in 1993 – but I still remember the first evening in a restaurant in Tokyo with sukiyaki, sushi and of course a few sake – it must have made a big impression on me as from that day on I loved japanese food. I’ve always been treated well in Japan – no matter if I’ve been there for work or on a private mission. It became my second home. As a musician I love the passion of the fans – there’s always a special athmosphere in the venue which is difficult to explain to somebody who hasn’t experienced it. Very positive energy and one of the best reasons for playing live.